Dozens of bird watchers flocked to Long Island this week to catch a glimpse of a rare bird that had veered thousands of miles off course and onto the side of Ocean Parkway. The lucky birders made it to the Cedar Beach location within what turned out to be a short window — the bird was found dead just days after it was spotted, apparently struck and killed by a motorist. 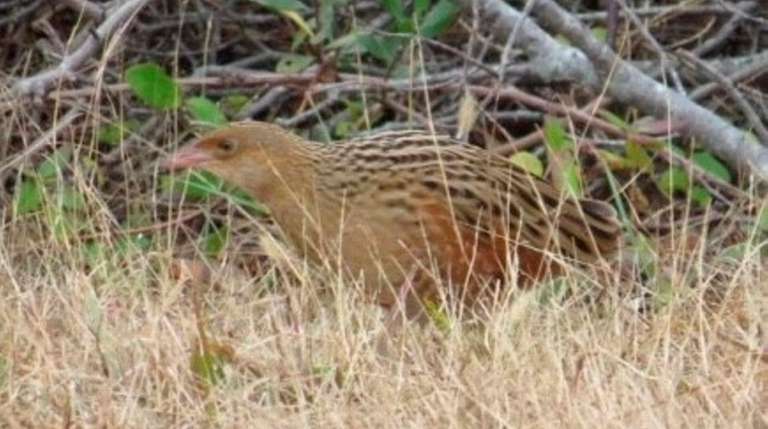 The corncrake had been spotted Tuesday morning, according to Paul Sweet, the ornithology collections manager at the American Museum of Natural History in Manhattan. Corn Crake in New York State! The pale brown bird, which breeds in Europe and Asia and winters in southern Africa, hasn’t been seen in New York state since 1963, according to Sweet. He first heard about the sighting on bird-watching forums and went out to see it Wednesday. “It’s very rare to see this bird in North America,” Sweet said. Leslie Starr, 67, and David Fleischmann, 53, drove from Baltimore Tuesday morning to see the corncrake. They parked their car, crossed two lanes of traffic and stood on a median in the middle of Ocean Parkway, gazing at the bird feeding in the brush. 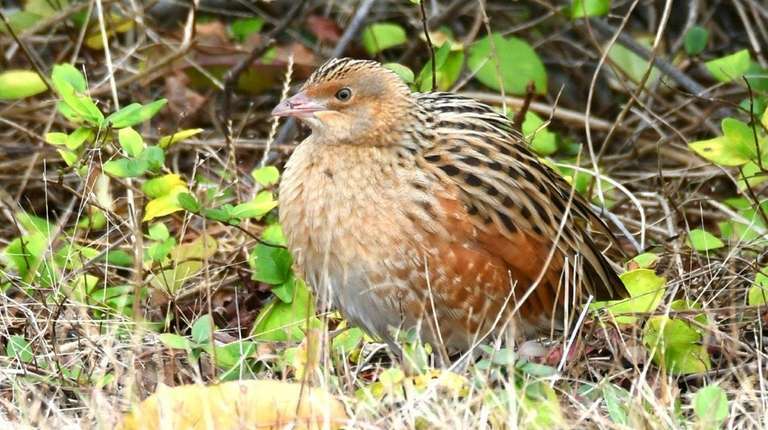 Starr said more than 100 birders had posted on a bird watching forum that they had either seen the corncrake or were planning to go to Cedar Beach. “Once in a lifetime,” one Twitter user posted Wednesday along with a picture of the bird. On Wednesday, a small crowd had gathered to see the bird and a New York state trooper was called to disperse the cars that had parked there, a State Police spokesman said. 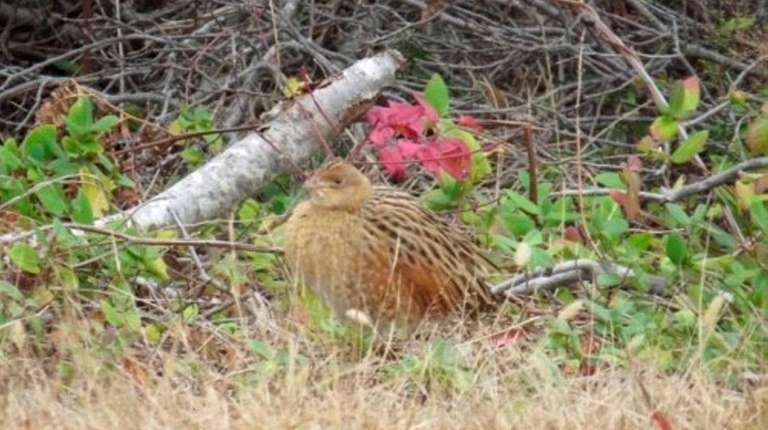 About 6:30 a.m. Thursday, a birder found the corncrake dead on the side of the road, according to Sweet. Both of the bird’s legs and pelvis were broken and it appeared to have been hit by a vehicle, Sweet said. The body is currently at the American Museum of Natural History where it will become part of its research collection. Justin Bosler, another avid birder, had bought a plane ticket from Austin, Texas, to see the corncrake. Bosler had boarded the plane Thursday morning when he learned just before the plane was about to taxi that the bird was found dead. Bosler, dejected, got off the plane at the last minute. “It’s pretty tragic,” he said.